Views! You can't avoid them from this 5th floor condo at Maui Sunset. Updated in the Maui island style, all conveniences of home. Large private condominium apartment at the resort condominium complex on the beach in sunny Kihei, Maui, Hawaii. 2 bedroom with private attached bathroom. 2nd bathroom down the hall with shower, large living area, dining area, kitchen with breakfast bar. PLUS large private view deck looking out towards ocean. Beach chairs, pool towels, full size appliances including air conditioning and washer dryer. Really, just hit the grocery store and you are set for the week! Really, just hit the grocery store and you are set for the week! Very disappointed in this unit as it was in very poor condition. Carpet stains and snags, curtains stained throughout unit, a/c did not work upon arrival (maintenance came and got it going and was told would replace unit next day-that did not happen), ice maker not hooked up (when inquired was told to use ice trays which there were none-no response from agent from follow up text), shower curtains filthy and stained, TV in master bedroom is nothing but static as no cable box hooked in there (when inquired received no response), bathtub stained, washer/dryer unit is located in a closet in the kitchen (extreme dirt build up and the door is not easy to use),dirt build up throughout unit. Rental agent tried to justify rental fee by the view from the lania. Had we known the condition of the unit, we would NOT have rented it. I had read previous reviews & expressed my concern prior to our arrival and was reassured that the unit would be clean. Also, given the excuse that we rented the last unit they had as if this should lower our expectations; this does NOT justify having lower expectations because it is the last unit available! The site advertises "Super clean and well maintained rooms and living areas make this the perfect home base for the active traveler", I absolutely DO NOT agree with this. I do have pictures to support all of my concerns with the unit. I phoned & text the rental agent upon arrival,he gave me no alternatives and then stopped answering my texts as concerns arose throughout our stay. I have no problem staying in a dated unit, however things not working and dirty is just unacceptable. So very disappointed. I emailed rental agent my concerns and photos supporting all of them again once we arrived home. He replied confirming my concerns and placing blame with others. He offered a possible upgrade if we visited again...really? He thinks I would trust that the upgrade would be a nice unit given the condition of the unit we s"
Keep coming back to the Maui sunset. Can’t beat the location, beautifully kept suites, grounds & best customer service. " The Maui Sunset was a great place to stay. The amenities where outstanding and there was always plenty of room for guests. The parking was easy and always available. We stayed at B515, the views of the ocean are amazing. Also it was nice they provided books and boogie boards. The staff was excellent! Thank you Jeff from maintenance for helping us with repairs! HOWEVER, the unit is in an unpleasant condition, and the manager Steve is completely unresponsive to emails. I sent 3 emails while we were there letting him know of the issues, hoping he could take care of it, and I finally received a response days later when we were back home. The unit is overall very dated, with mystery stains on the carpets and couches (as previous guest had commented). There were a ton of ants and even a cockroach in the unit. The closet door is off the hinges so we couldn't open it. The sink doesn't drain water. The toilet leaks. The walls around the AC have spackle splashed around it, without paint. But our biggest issue was that the fridge wasn't cooling (also as previous guests have reported, and the property manager didn't take care of). The fridge stops cooling every 3 days...maybe time for a new one? The first time I noticed the fridge wasn't cooling at 11pm, when everyone was gone. Luckily security allowed us to move all our food into another refrigerator and the next morning Jeff from maintenance was able to fix it. However 3 days later it stopped cooling again, and this time I didn't notice it until the morning, which resulted in all of our food and my babies breastmilk spoiling and being tossed out. " I have been visiting Maui Sunset for 40 years - my parents bought their unit in the 70’s! Now that I have my own family, we usually rent a different unit but go at the same time as my folks. Unfortunately, this trip - the unit we rented - was terrible. It was so disappointing. Unit B515 was dirty upon arrival - dishes in the cupboard still had food crusted onto them like they had not been washed and put away filthy. The carpet was stained, the condo had obviously not had any updates like many of the others. We had ants all over the kitchen and a fly “hatch” experience where literally thousands of flies appeared in the condo. The fridge was warm and finally on day three we had to have maintenance come over to fix because all the food we had bought was at risk of spoiling. Once he defrosted the freezer, the fridge came back down to a reasonable temperature. Anyway - I tried to not focus on any of this and just enjoy our vacation but it was hard to not be grossed out the whole time we were there. We spent a lot of time down at my parents condo where it is updated and clean. I thought someone should know so other families don’t have a similar disappointment with this particular unit. We still love Maui Sunset and will be back, but next time I will make sure to ask more questions about the particular unit before renting." I have stayed at the Maui Sunset many times and love it. 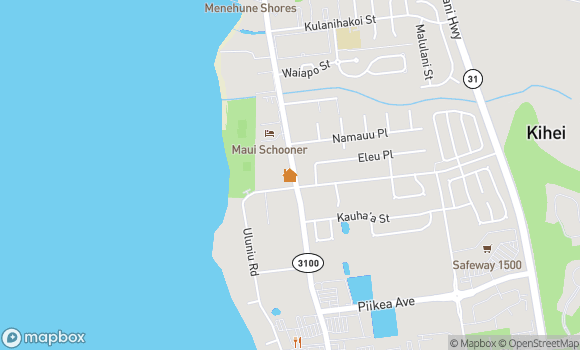 The location in Kehei is right on the beach. The grounds are beautiful and well maintained. The condominiums are comfortable. The unit we stayed in this year had a few maintenance issues; fraying outdoor carpet on the Lanai & the air conditioning unit was spitting out moisture." This is the 3rd time we have stayed at the Maui Sunset. We love the location as it is a bit removed from central Kihei, very peaceful. We notice the unit was a little worn this time (sofa and love seat marked and dirty) and could use some updates. Overall, love the condo's, location, pool, staff and atmosphere. The blowing of the conch at sunset each evening is very special." We stayed there for a week over New Years. It is a fabulous place. I believe all the suites have a view of the ocean and the beach which is priceless. The pool and grounds were very clean. The beach is sandy and while the ocean isn't the best for swimming, we took out our boogie boards and rented some stand up paddle boards and were able to float along with the large turtles which live right there. It was amazing. The sunsets are breathtaking. We are already saving to come out again next year. Very fun, family friendly resort. Quiet at night, not too much going on but, if you like that you'll love it here. Shuffleboard and tennis are fun too and close to many beaches and walking distance to McDonald's, pizza and a few shops, with an outdoor market two blocks away. The description of the suite and property were spot on with everything you need in the suite. We received great customer service and while our fridge had issues, someone came right away to repair it and get it going again. Lahaina is about 25 minutes away, the aquarium is 15 minutes away (they have an amazing whale watching tour), you can see the whales in the distance and the airport is a short 15 minute drive. Easy check in and check out. No issues. " Our condo was spacious with plenty of room for a family of four. The kitchen was well appointed with dishes, utensils, and appliances for cooking. Great view of pool, grounds, and ocean. Cons...The unit next to ours was being completely renovated, so from 8-5 there was constant drilling and hammering. The 'master' bathroom was very cramped, and the bedspreads were dirty." Maui Sunset is everything it says it is. Very clean, friendly people, convenient to shopping and exploring the island, amazing sunsets. you wont be disappointed." Nice location. beautiful grounds. management company was extremely helpful and easy to work with. Condo could use some updates but overall was fine for what we were looking for." Good. My first time in Hawaii and it was a pleasant surprise"
Great spacious room 2 bed 2 ba, nice view, nice resort next to park. Only issue was the AC unit in room2 was not working plus all the AC units had a timer setting for up to 4 hours." Aug 30, 2016 - Paul A. The Unit we rented needs updating, but the grounds of the building were kept up well." "Very nice place for vacation. We had a very nice condo. It was also very quiet. The beach was near. Restaurants and supermarket were in driving distance. We really liked the place." "Excellent Stay - loved the property - great for the family. Had a really wonderful holiday with the family. Our daughter spent a lot of time in the pool and made a lot of friends. The accommodation was in a good shape. Our wi-fi password was missing but it was fixed with help from the property management firm. I will highly recommend Maui Sunset. "